A suspect believed to be fugitive former cop Christopher Dorner has barricaded himself inside a mountain cabin near Big Bear, Calif., and exchanged gunfire with police who had pursued him after he broke into a home in the area. Two cops were airlifted after being wounded in the exchange of gunfire with the suspect. The suspect is believed to have broken into a home nearby and briefly taken two women hostage before stealing a car. Officials say the suspect crashed the vehicle and fled on foot before barricading himself in a cabin. The two women were evaluated by paramedics and were determined to be uninjured. Police have sealed all roads going into the area and imposed a no-fly zone above the cabin, in a wooded area that has received several inches of snow in recent days. Four Big Bear area schools have also been placed on lockdown. Dorner faces capital murder charges that involve the killing of Riverside police officer Michael Crain, who was gunned down in an ambush last Thursday. A capital murder charge could result in the death penalty if convicted. Crain was married with two children, aged 10 and 4. The charges do not involve the slayings of Monica Quan and her fiancé, who were found shot to death Feb. 3. Quan was the daughter of former LAPD captain Randal Quan, who was mentioned as a target of Dorner's fury in his manifesto. 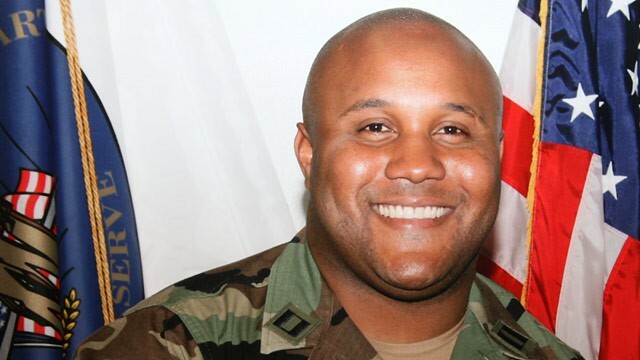 Dorner released the 6,000 word so-called "manifesto" on his Facebook page which outlined his anger at the Los Angeles Police Department for firing him, and made threats against individuals he believed were responsible for ending his career with the police force five years ago. Hey there, You've done a fantastic job. I will definitely digg it and personally suggest to my friends. I'm confident they'll be benefited from this web site. is not good., but suppose you added a headline that makes people want more? I mean "Fugitive Ex-cop Dorner Barricaded in Cabin" is kinda boring. You should glance at Yahoo's home page and see how they write article headlines to grab viewers to click. You might add a related video or a pic or two to grab people excited about everything've written. Hurrah, that's what I was looking for, what a stuff! existing here at this web site, thanks admin of this site.